Pigeon Forge is a family-oriented vacation destination with something for everyone, including Pigeon Forge rental cabins. Pigeon Forge offers abundant shopping, bungee jumping, racing, putt-putt games, water parks, theaters and much, much more! 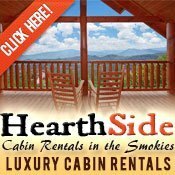 Pigeon Forge Rental Cabins website is your guide to thousands of overnight rental cabins in the Pigeon Forge area. 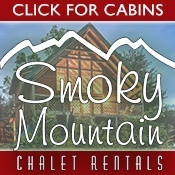 Overnight rental cabins feature all the comforts of home, including HVAC, fully equipped kitchens, fireplaces, outdoor grills, and some of the best mountain, valley and woodland views in the country provided by the Great Smoky Mountains. Most of these cabins also have hot tubs, game rooms, and satellite TV. 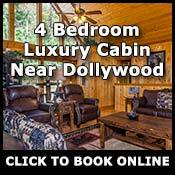 Visit Pigeon Forge and stay in your very own luxurious log cabin at any of the cabin rental companies listed on this website. 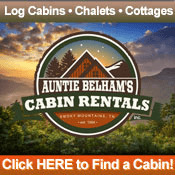 Learn more about Tennessee cabins in Sevierville, Gatlinburg, and Wears Valley. With towering mountains surrounding rolling, idyllic meadows, Wears Valley is one of the area's best-kept secrets when it comes to vacation rentals. Now you can get in on the secret when you choose from any of our premier rental cabins, which make the most of their natural settings. 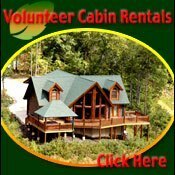 Whether your priority is looking up at the mountains from the valley or looking down on the valley from a mountaintop perch or whether you're looking for privacy or convenience, Volunteer Cabin rentals has what you're looking for. All of properties have amenities that please, and regardless of which cabin you choose, you'll still enjoy convenient access to Pigeon Forge, Gatlinburg and Sevierville. 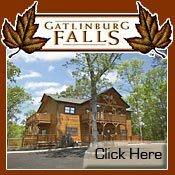 At Gatlinburg Falls Resort, the beauty and majesty of rustic log-home construction meets the comforts and amenities of resort living. Our selection of Heritage Log Homes cabins occupy wooded lots and truly embody the spirit of getaway vacation in the Smokies. But once you step inside, the possibilities of modern-day luxury are just beginning. Soak in a hot tub, grill out on a deck, shoot a game of pool or enjoy all the conveniences of a full kitchen. And with rental properties that offer as many as nine bedrooms, we can accommodate any size group, from honeymooning couples to family reunions. Book us online today. 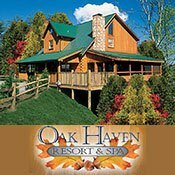 Whether your vacation goal is to stay in your rental cabin and never leave the property or to hit the town and see all the sights, you can't go wrong with Oak Haven Resort And Spa in Sevierville, TN. For those seeking peace and seclusion, our one- to seven-bedroom luxury cabins rest on wooded mountainside lots. 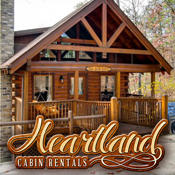 The cabins themselves enjoy features like free Internet, housekeeping, full kitchens, gas fireplaces and grills, outdoor hot tubs, big-screen TVs, DVD players and game rooms. If venturing out into the resort suits your fancy, try our onsite amenities like a day spa, swimming pool, basketball court and playground. Of course, our location means you can get to downtown Sevierville, Pigeon Forge or Gatlinburg in just minutes. Whether you're traveling as a family, church group, business or couple, call us today for the getaway of your dreams. 800-228-4016. For more than a quarter-century, Hidden Mountain Resorts has been one of the most popular destinations for discriminating travelers in search of top-quality rental cabins. With two different resort locations in the Smokies, we offer hundreds of properties that are tucked away in peaceful corners but are also convenient to Pigeon Forge and Sevierville and just a short drive to Gatlinburg and Great Smoky Mountains National Park. We have cabins of all sizes, geared to welcome everything from honeymooning couples to large-group gatherings. Our cabins are constructed with the industry?s best materials and come both fully equipped and tastefully decorated, each offering its own unique mountain theme. Amenities include free daily housekeeping, onsite maintenance and all the features you desire in a vacation, such as hot tubs, fireplaces, game rooms and more. 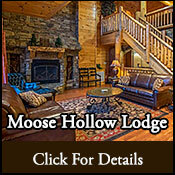 All the amenities you could possibly imagine can be found within the expansive grounds at Moose Hollow Lodge. With 9 bedrooms (comfortably sleeps 56!) and a heated, indoor swimming pool, your group will have plenty of room to spend time together or spread out for a bit of privacy. The on-site chapel and fully equipped corporate meeting space (seating 60 with full A/V capabilities) make weddings and business events convenient and memorable. Click for full details and rates. 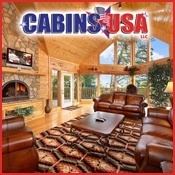 Visit our Cabins USA Web site for one of the area's largest selections of cabin rentals in Pigeon Forge and Gatlinburg. With an inventory of more than 250 cabins, we offer everything from romantic one-bedroom hideaways to palatial multi-bedroom lodges that are large enough to house an extended family get-together, a church group or a corporate outing. You'll also see that we offer a desirable array of amenities, including hot tubs, fireplaces, full kitchens, Internet access and amazing views of the Great Smoky Mountains. Our wide selection of properties also means that you're bound to find a rental cabin that's ideally located to suit your travel needs. We can offer country seclusion, city convenience and even properties that offer the best of both worlds. That way, you can enjoy both solitude and privacy as well as easy access to area attractions, restaurants, malls and Great Smoky Mountains National Park. Don't let the prospect of working with multiple vendors dampen your plans for a wedding in the Great Smoky Mountains. 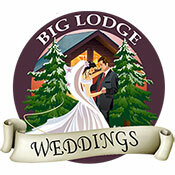 When you choose Big Lodge Weddings as your event location, you'll benefit from a total package that allows you to coordinate every aspect of your big day at one convenient location. Situated in the mountains near Pigeon Forge, TN, Big Lodge Weddings works with couples on every detail of the big day, and their on-site facilities include everything from an indoor chapel (or outdoor settings, if you prefer) to a reception hall and even a nine-bedroom lodge on the same property, where as many as 56 family members and friends can enjoy a long slate of luxury amenities. 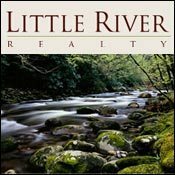 Little River Realty and Cabin Rentals is located in the heart of Wears Valley. We are just minutes away from The Great Smoky Mountains National Park and a short distance from all the attractions in Pigeon Forge and Gatlinburg, TN. 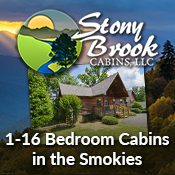 Let our cabins be your home away from home while enjoying the mountains of East Tennessee. The Smoky Mountain area is a perfect destination for family vacations or romantic getaways. Wears Valley offers breathtaking views of the Smokies and the foothills. It is easy to see why more than ten million people visit the national park each year. Whether it's a summer vacation, a family getaway for the Christmas holidays or just a weekend away with friends in the mountains, A Beary Good Time will not disappoint guests in search of luxury accommodations in the mountains. Located at Hidden Springs Resort in Pigeon Forge, this upscale 4-bedroom, 3.5-bath cabin sleeps as many as 12 guests and is packed with amenities on each level, including an outdoor hot tub, charcoal grill, two electric fireplaces and a game room that comes complete with pool table, air hockey table and multi-game upright arcade system. Flat-panel TVs with DVD players throughout the cabin are ideal for movie and sports watching with the gang, and this cabin's proximity to the national park, Dollywood and other great Pigeon Forge attractions make it a travel destination you'll want to visit year after year. 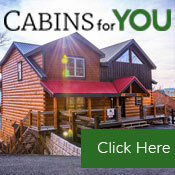 Ready for an unforgettable cabin stay in Pigeon Forge, TN? Featuring over 320 cabin rentals with priceless views and quality amenities, your dream cabin awaits with Cabins for YOU! Family vacays, getaways with friends, bachelorette trips, corporate retreats, sweet honeymoons...you name it, we have the perfect Pigeon Forge rental for YOU. Splash in the private indoor pool, sip vino on the porch swing with mountain views, play games in the rec loft, soak in the steamy hot tub under the stars, swap ghost stories by the firepit, and oh-so-much more! 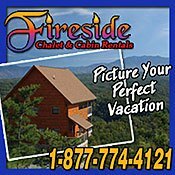 Give your personal Vacation Specialist a call (complimentary service) at 1.866.374.5977 or reserve your Pigeon Forge cabin rental online today!